Organizations, and teams within organizations, often have several different email threads going at a time. It’s easy for lines to cross, information to get lost or overlooked, and for communication to break down. Site mailboxes can help you coordinate and store team or project-related email in one place, so that everyone on the team can see all communication. Important: The site mailbox feature in SharePoint Online is being deprecated beginning in March, 2017. This feature will be removed entirely in a future release. 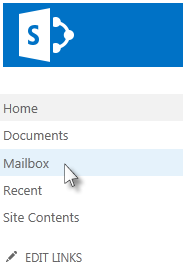 New SharePoint Online organizations no longer have access to the site mailbox feature. Existing SharePoint Online organizations can no longer create new site mailboxes. Any site mailbox that was set up and deployed before March, 2017 will continue to function. We will provide a process to help transition your existing site mailbox sites to an Office 365 Group in September, 2017. If you currently use the site mailbox feature in SharePoint Online, you should consider changing to Office 365 Groups instead to support your email collaborative scenarios. For more information, see Use Office 365 Groups instead of Site Mailboxes. Note: The site mailbox feature will remain supported, but deprecated in SharePoint Server 2019, SharePoint Server 2016, SharePoint Server 2013 and SharePoint Server 2010 products. Customers are recommended to explore shared mailboxes as an alternative to site mailboxes. On the Quick Launch, click Mailbox. The site mailbox opens as a second, separate inbox and folder structure next to your personal email account. Mail sent to and from the site mailbox account is shared between all those who have Contributor permissions on the SharePoint site. You can add a site mailbox as a mail recipient, send mail from the mailbox, or add it to your favorites. To add a mailbox to site, see Add a Site Mailbox app to keep email in context on a site. Your site needs to be mail enabled. If it isn't contact your administrator. When you include the site mailbox on an important email thread, a copy of the information in that thread is stored in a location that can be accessed by anyone on the team. Add the site mailbox in the To, CC, or BCC line of an email message. You can add the site mailbox email address to any team contact groups or distribution lists. That way, relevant email automatically gets stored in the team’s site mailbox. When you write and send email from the site mailbox, it appears as though it came from you. Everyone with Contributor permissions on a site can access the site mailbox, so several people can work together to draft an email message. To compose a message, click New Mail. This opens a new message in your site mailbox. If you use the Favorites list in Outlook, you may find it helpful to also include folders from the site mailbox in your Favorites list. 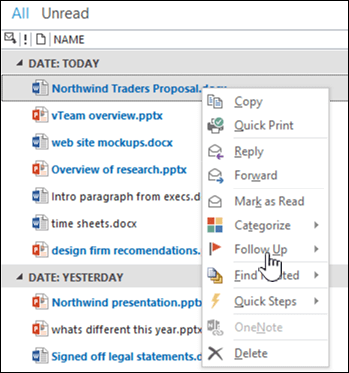 In Outlook, you can right-click a site mailbox folder, such as the Inbox, and then click Show in Favorites. If you have two folders in your Favorites list with the same name (for example, two Inboxes), Outlook automatically adds the mailbox name to the folder name (for example, “Inbox – HRTeamSite@contosobistro.onmicrosoft.com”) so that you can identify which folder is which. For more on Outlook Favorites, see Keep frequently used mail folders in Favorites. Your team can use a site mailbox to collaborate on composing an important email message or gather relevant team-level email conversations. Your team can also share important documents securely by using a site mailbox. After a site mailbox is set up for your site, a new email account is created using the name of your site. For example, a team site uses the URL: http://contoso.sharepoint.com/HRTeamSite. 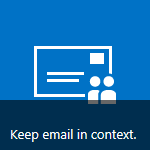 The email address for that site mailbox is HRTeamSite@contoso.sharepoint.com. Many teams have conversations via email messages on a regular basis. Often these conversations result in information that can be a useful reference somewhere down the line. You can forward the most useful email within the thread to your site mailbox to preserve it. Everyone who has Contribute permissions to your site is then able to open the site mailbox and view that message. Team members can later open up the site mailbox, search through the mail captured in that account, and see the history of the issue in question. Another idea for gathering these team-level email conversations is to CC the site mailbox email address when you send an email message to the team. You can also add the site mailbox email address to a contact group or distribution list, so that it is automatically included whenever you send mail to your team. 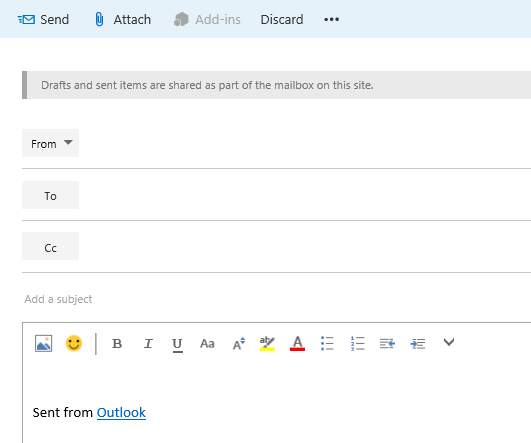 If you store your team’s documents on your SharePoint site, you can leverage the Site Mailbox app to share those documents with those who have site access. Important: When users view a site mailbox in Outlook, they see a list of all the documents in that site’s document libraries. Site mailboxes present the same list of documents to all users, so some users may see documents they do not have access to open. If you’re using Exchange, your documents also appear in a folder in Outlook, making it even easier to forward documents to others.